It seemed that the scandal surrounding Volkswagen, Germany’s largest automotive group, had died down. As Frankfurter Allgemeine wrote last week, the group had managed to get away with a black eye. 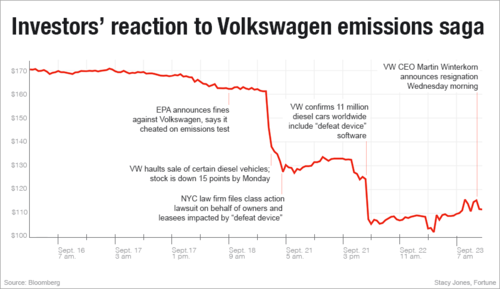 To be more precise, Volkswagen’s management admitted that 11 million vehicles produced between 2009 and 2015 had been fitted with software allowing the results of emissions tests to be falsified. 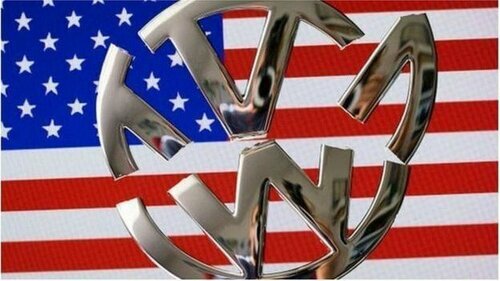 The German car manufacturer was forced into the admission by the US Environmental Protection Agency, which tested the diesel engines and found irregularities. During the tests, it became clear that the real-world emissions of the Jetta model were 15-35 times higher than stated, while the emissions of the Passat were 5-20 times higher. Spokesmen for the group did not deny the findings and admitted that software allowing test results to be manipulated had not only been installed in the Jetta and Passat models, but also the Beetle, Golf and Audi A3 models fitted with 1.2, 1.6, and 2.0 litre EA 189 diesel engines. There is a good reason why I have drawn the reader’s attention to this detail. As a result of the revelations, Volkswagen is recalling nearly half a million cars sold in America, while Volkswagen chief executive Martin Winterkorn, who is now being investigated for fraud, submitted his resignation, with the same fate befalling a number of other executives at the German auto giant. The group immediately set aside €6.5 billion to cover the costs of the scandal and this figure has already increased (€6.7 billion). Volkswagen’s profits turned to losses, turnover slumped and shares nose-dived. The most important thing is not even the financial losses, however, but the blow to the reputation not just of Volkswagen itself, but also to Germany as the world’s third largest exporter. In 2013, motor vehicles and vehicle parts accounted for more than 17 per cent of German exports and were the country’s biggest export revenue earner; after automobile manufacturing was machine building, which made up 15 per cent of total exports (at the beginning of the 1980s, conversely, machine building outstripped automobile manufacturing in terms of export volumes). So one could say that the US Environmental Protection Agency has not just given German car manufacturers a black eye. And not content with that achievement, the agency struck another blow at the beginning of November that the Germans were certainly not expecting: it announced that engines larger than 3 litres were also fitted with similar software designed to understate test results. Thus the Americans expanded their claims to include the VW Touareg, as well as models from VW’s subsidiary company Audi – the A6 Quattro, the A7 Quattro, the A8, the A8L, the Q5 sports car and the Porsche Cayenne. Volkswagen is denying the charges this time, but the US agency is holding firm. What is the result? So far the Japanese company Toyota has received a net gain, having regained its global leadership in sales. And there is another strange detail. The US agency launched its investigation against the Germany company a year and a half ago, back in May 2014. In December 2014, the group recalled half a million cars from the US market and carried out software fixes on them. It seemed that the issue had been closed. The scandal raised its head again in September 2015, however, and was inflated further at the beginning of November. The most jaw-dropping statement on the subject was made by the German Chancellor. Speaking at the Publishers’ Summit in Berlin on 2 November (an annual event organised by the Union of German Newspaper Publishers), Angela Merkel used the charges against the Germany company… to campaign in favour of signing the Transatlantic Trade and Investment Partnership (TTIP). «We have seen that emissions standards in the US are anything but poor», announced the German Chancellor. 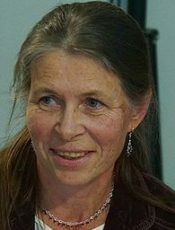 I will explain: among other things, opponents of the Transatlantic Partnership agreement are concerned that the environmental regulations adopted by the European Union will be weakened. EU officials are not worried about such trivial matters, however, just as they are not worried about the quite serious threat emerging for European manufacturers who will be unable to compete with the Americans if the TTIP is signed. As far as the Volkswagen story is concerned, Angela Merkel’s logic is unique. Instead of trying to protect one of the largest German employers and a national car loved by the Germans, the German Chancellor expressed… admiration for her American partners. In other words, she resorted to the time-tested method used by every federal chancellor that has been in power for a long time. In any case, it is safer than talking about the lifting of anti-Russian sanctions and visiting Moscow, as Vice-Chancellor Sigmar Gabriel has done. Incidentally, I should point out that the scandal surrounding Volkswagen initially broke out immediately after this statement made by Gabriel (following which he was soon forced to retract his words), while the new twist in the scandal began to unfold following Gabriel’s most recent trip to Moscow. Does anyone still believe in the randomness of coincidences like these? Will Refugees Be Moved from Germany to Georgia and Egypt?